Diagnosing Childhood Apraxia of Speech or CAS is not always clear cut and simple. With an articulation disorder such as a distortion of the ‘r’ phoneme, a diagnosis can be made using a standardized testing tool and observations. A CAS diagnosis, typically entails gaining information from various tools. 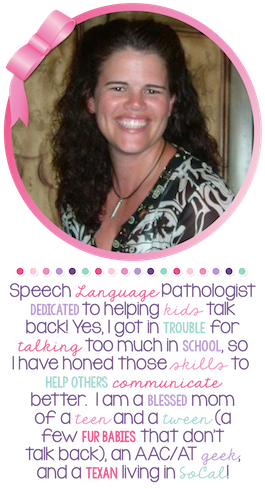 As with any speech and language disorder, it is important to have as much relevant information as possible. Remember that the evaluation is not just about what a child can not do, but what they CAN DO! Determining their strengths will help guide your goal creation. Case History: It is important to get as much information about early babbling and speech development. Was there any eating issues, etc. Expressive and Receptive Language Assessment: Use a formalized “normed” assessment when possible along with informal language measures. Depending on the age and severity of the impairment, formalized testing does not always give a clear view of a child’s language skills. I like to use a tool called the Language Curriculum Referenced Measure (LCRM) that was created by Plano ISD (Plano, Texas). This is an informal tool that can be used from preschool to high school. I also use parts of the Verbal Behavior Milestones Assessment and Placement tool (VB-MAPP). Both of these are informal tools that will allow you to look at language skills informally, but may give more incite than a standardized measure. Language Sample: I like to record a video of their speech so I can go back and closely watch how their articulators move when they are communicating. Even with a minimally verbal child, you can watch what happens when they babble or create the sounds in their repertoire. Articulation Test: I use the Goldman Fristoe 3 and the LinguiSystems Articulation Test (LAT). Phonological Analysis: I use the data from the articulation test and language sample to determine if there are patterns to their errors. Prosodic Analysis: This is another reason why it is so important to take a video of an evaluation. I use the video to go back and listen to any prosodic variations. Evaluation for CAS is not always a simple diagnosis. A child may have some components of a motor speech planning disorder, but may not necessarily have CAS. I have the data now what do I do?